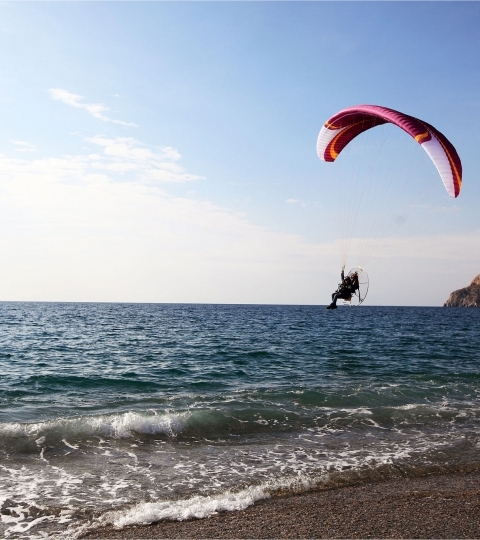 Flying long distances, discovering new destinations or just enjoying your time in the air. 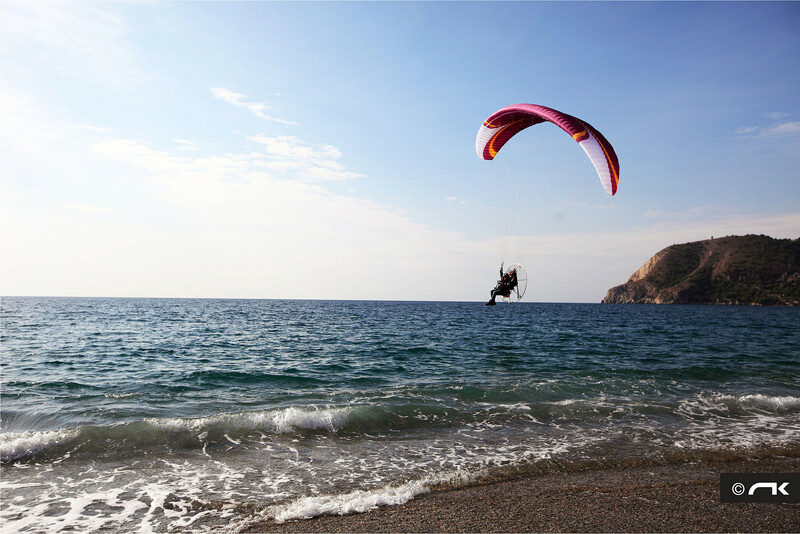 If you are a paramotor enthusiast you will find in the Kougar 2 a glider specially outfitted to move everywhere freely. In 2011 we decided to open a new door to the activity. The first step reached in the challenge, was to understand the Paramotor pilots needs by taking their feedback and suggestions seriously. As a result, our R&D team was then better equipped to work on a new glider concept focused on addressing the pilots concerns : better feeling and wing feedback with increased safety during flights while elevating technological advances for heightened glider performance. The RAM Air Intake permits to reach an optimal air inflow configuration (below the glider’s leading edge aligned with the intrados) to obtain a rapid, progressive, stable inflation. This profile modification results in more comfortable faster and tighter glider turns. Another strong point in the Kougar 2 is the evolution of the Reflex System Profile (RSP). This innovation works together with the previous design to improve gliding, speed and safety. In addition, it cuts down on fuel consumption: less engine power is needed to obtain the same performance level, so you can set your own limits. In terms of piloting the wing, the main toggles are more flexible and progressive, enabling for better glider control without excessive effort. An additional toggle system, connected to the stabilizer, improves glider management during accelerated flights and turns. The Kougar 2 can be steered with the trims opened while keeping the profile stable. In other words; maintaining a high wing internal pressure with extraordinary leading edge rigidity at high speed. 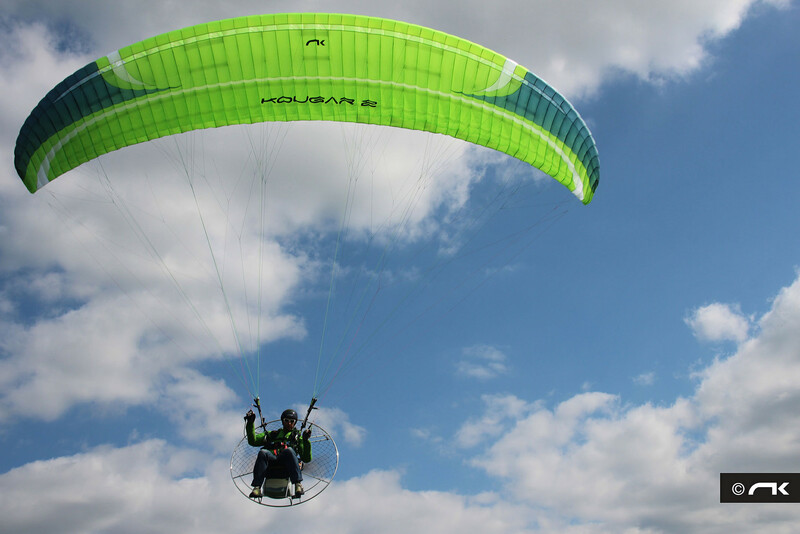 The glider turns without losing its handling flexibility nor its stable flight characteristics. The wing’s high performance abilities enhance the engine’s power curve for a lesser workload, enabling the use of smaller size 125 and 80 cc. motors and without the need for high cubic capacity power plants. Make the most out of this glider born to perfectly complement your flying gear. Enjoy it during extended Cross Country flights. 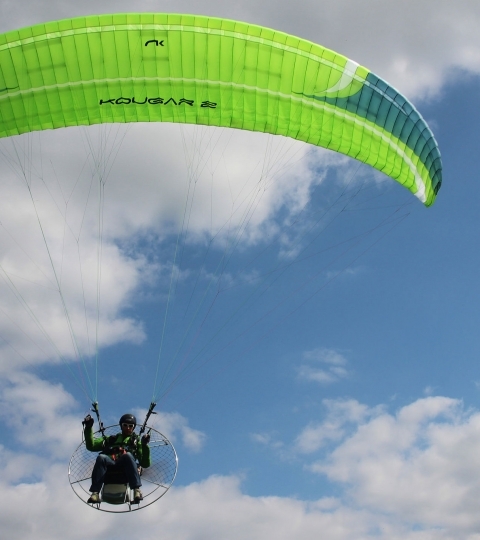 Kougar 2, paramotor innovation at its best!